“And now, For Something Completely Random!” or “Elder Scroll Online World Map” | Are We New At This? GameInformer has been bleeding The Elder Scrolls Online information over the last few days. Their preview for the three playable factions included maps of their native zones. 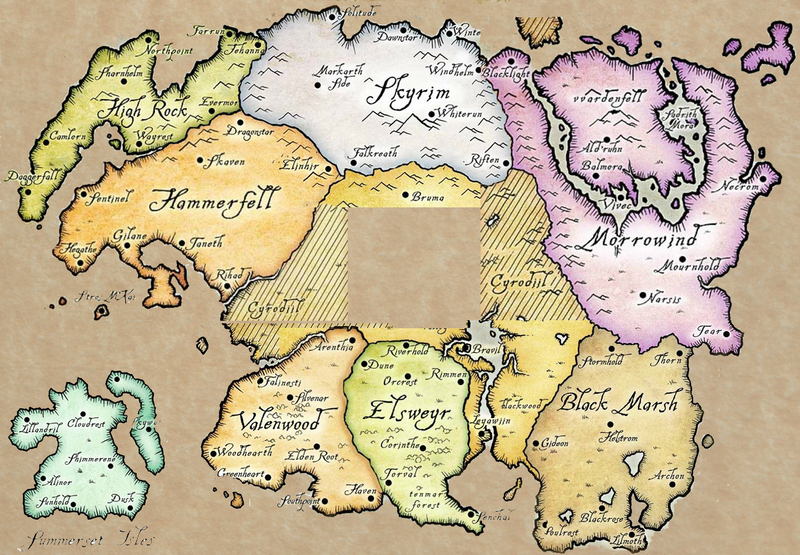 I thought it would be nice to superimpose those maps over one another and figure out what the world of The Elder Scrolls Online might look like, and this is what I came up with. Enjoy!